As you enjoy the Super Bowl, think about your big, important goals to achieve this year; this case study and football-driven infographic will inspire you and accelerate your progress. Consider this analogy: most of your time at work is spent playing baseball. Yes, baseball. And you need to start playing football a little more regularly if you really want to get the important things done. Picture a baseball game: it’s a maelstrom of pop fly and dropped balls, players out of position, desperate slides, base hits that don’t change the score when players are left stranded by strikeouts, your competition stealing bases, and more. Doesn’t that sound like exactly what you’re dealing with every day in your business? It’s reactive, exhausting, and keeps you from focusing on what matters. It will never, ever go away. And when you play it every day, it prevents you from executing your strategic goals. Here’s why – your strategic plan probably has numerous goals: you’ve got bases all over the field and you’re always running from one to another, trying to win the game. But in football, you keep your eyes firmly on one set of goalposts, and simply move the ball down the field. Sharing the baseball-football game analogy with your team is a powerful tool for focus. It’s time to change the playing field. Once you have a clear focus on the single set of uprights that you need to put the ball through (your goal), you need a game plan and a scoreboard to help you slowly and steadily move the ball down the field, whether that’s 1 yard, 10 yards or 50 yards at a time. Your entire team suddenly becomes able to focus on a clear finish line even if they play baseball the rest of the week. This is because when you change the fields, change the rules, and come at it with a different mindset, you also change the results. When you complete one goal (touchdown!) you simply start moving another ball down the field. When you’re just playing baseball, you can’t score a strategy touchdown! But when you play football just once a week for 90 minutes, you’ll win the Super Bowl of Execution. 3 management techniques to improve productivity, that any business can use, were instrumental in their success. They developed extreme focus on simply moving the ball down the field and putting it through the uprights, using the week-by-week strategies in ProfitU, the online university I developed to help clients implement everything in my #1 Best Selling book, Profit in Plain Sight. They conducted a workshop to visibly identify the behaviors that were helping or hurting their profitability with each customer, and set a new goal for the Customer Profitability Ratio that emerged. Instead of the current 5 profitable customers for each one that isn’t actually profitable, the team themselves set the metric at 10:1 by the end of the first quarter of 2019. It’s a huge, tangible goal that will trigger profit sharing, thus important enough to command attention, intention, and a commitment to specific outcomes. They became agile and implemented a weekly huddle to report out on commitments made, challenges, next steps, and new commitments. This created a flexible game plan based on desired outcomes instead of the usual detailed To Do lists that focus on inputs and outputs yet never survive the first play. The game plan required them to play “tradeshow football” for just 90 minutes once a week over a period of just 90 days, with the confidence to know that most of the time they would still be playing baseball, taking care of the everyday challenges. They put accountability and skin in the game: We replaced the typical complex coach’s score card (aka “management reports”) with a simple “player’s scoreboard” so that everyone felt they had skin in the game (accountability) and could see at a glance whether or not they were moving the ball. Some profitability elements that need work are red. Ones that are in good shape are green. Their mandate: “turn it green”. EVERYBODY knows that “green” is the goalpost, and everyone is being trained on what the winning plays are. There’s a cadence and rhythm to everyone’s accountability, which is crucial for turning good intentions into excellence in execution. The result? Within the first 30 days, the client paid for almost 1/2 of the program, and according to the accountability software that we’re using to track progress, the entire team is highly engaged in identifying winning plays and steadily moving the ball down the field… All in less time per week than most of them were spending on email every day. 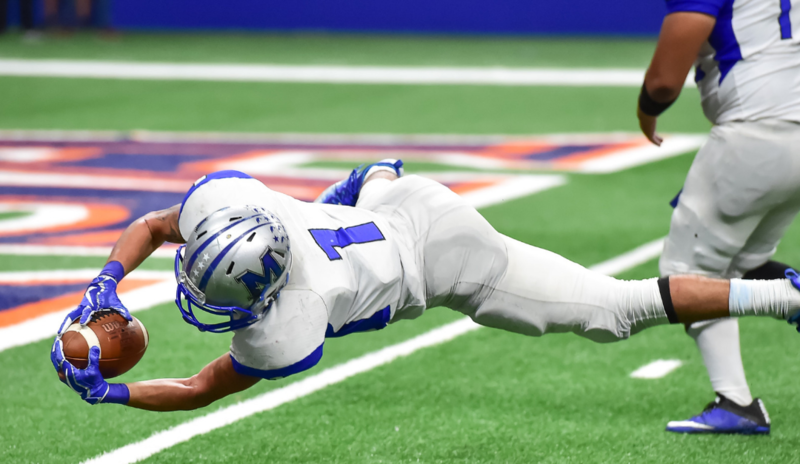 This Super Bowl weekend, make a commitment to start playing football so that you can put it through the uprights every time and win the “Superbowl of Execution.” What’s the first ball (goal) you and your team will take down the field?